Steeped in history and tradition, Cambridge is renowned for its ancient colleges and sprawling green gardens. On the 12th (Fri), look for gifts at Fudge Kitchen, explore and take pictures at King's College, University of Cambridge, then examine the collection at Sedgwick Museum of Geology, then get engrossed in the history at Museum of Archaeology and Anthropology, and finally sample the fine beverages at The Cambridge Gin Laboratory. To find other places to visit, more things to do, photos, and tourist information, go to the Cambridge day trip planning site . London to Cambridge is an approximately 1-hour train ride. You can also drive; or take a bus. In July, daily temperatures in Cambridge can reach 27°C, while at night they dip to 17°C. Finish your sightseeing early on the 12th (Fri) so you can travel to Baden-Baden. On the 13th (Sat), explore the historical opulence of Schloss Favorite, then examine the collection at Unimog Museum, then admire the sheer force of Geroldsauer Wasserfall, and finally try your luck at Kurhaus Baden-Baden. For other places to visit, where to stay, photos, and other tourist information, refer to the Baden-Baden online road trip planner . Use the Route module to find suitable travel options from Cambridge to Baden-Baden. Traveling from Cambridge to Baden-Baden, you'll lose 1 hour due to the time zone difference. While traveling from Cambridge, expect somewhat warmer days and about the same nights in Baden-Baden, ranging from highs of 31°C to lows of 18°C. Wrap up your sightseeing on the 13th (Sat) early enough to drive to Nuremberg. On the 14th (Sun), stroll the grounds of Johannisfriedhof Nurnberg, then admire the natural beauty at Furstengarten Marienberg, and then make a trip to Schloss Weikersheim. On the 15th (Mon), you'll have a packed day of sightseeing: don't miss a visit to Ehekarussell, don't miss a visit to Marktplatz, and then tour the pleasant surroundings at Wildpark an den Eichen. For other places to visit, ratings, maps, and tourist information, refer to the Nuremberg online route planner . Traveling by car from Baden-Baden to Nuremberg takes 3 hours. Alternatively, you can take a train; or do a combination of train and flight. July in Nuremberg sees daily highs of 30°C and lows of 15°C at night. Wrap up your sightseeing by early afternoon on the 16th (Tue) to allow time for travel to Vallon-Pont-d'Arc. Vallon-Pont-d'Arc is a commune in the Ardèche department in southern France.Vallon-Pont-d'Arc is a capital of prehistoric and cultural tourism. Kick off your visit on the 17th (Wed): explore the stunning scenery at Cimes et Canyons, Head underground at Escale Aventure, and then stop by La Miellerie des Garrigues. On the 18th (Thu), you'll have a packed day of sightseeing: examine the collection at Domaine Lavandais - Musee de la Lavande, then look for all kinds of wild species at Le Pont d'Arc, and then delve into the lush surroundings at Bois de Paiolive. To see ratings, more things to do, photos, and tourist information, you can read our Vallon-Pont-d'Arc route planning tool . Getting from Nuremberg to Vallon-Pont-d'Arc by car takes about 10.5 hours. Other options: fly. Expect somewhat warmer temperatures when traveling from Nuremberg in July; daily highs in Vallon-Pont-d'Arc reach 36°C and lows reach 20°C. Finish your sightseeing early on the 19th (Fri) so you can drive to Grenoble. 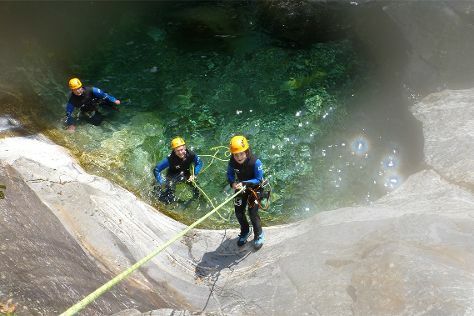 Kick off your visit on the 19th (Fri): hike along Via Ferrata : Les Prises de la Bastille, tour the pleasant surroundings at Domaine de Vizille, and then head outdoors with Grand lac de Laffrey. Get ready for a full day of sightseeing on the 20th (Sat): explore the stunning scenery at Canyon'In, then find something for the whole family at Plaine Exploration, and then examine the collection at Musee des Troupes de Montagne. To see where to stay, reviews, traveler tips, and more tourist information, refer to the Grenoble holiday planning tool . Drive from Vallon-Pont-d'Arc to Grenoble in 2.5 hours. Alternatively, you can take a train; or take a bus. Prepare for a bit cooler weather when traveling from Vallon-Pont-d'Arc in July: high temperatures in Grenoble hover around 30°C and lows are around 16°C. Finish your sightseeing early on the 21st (Sun) to allow enough time to travel to Pisa. On the 21st (Sun), contemplate in the serene atmosphere at Chiesa di Santa Caterina d'Alessandria, admire the landmark architecture of Castello dei Vicari, then enjoy breathtaking views from Rocca di Vicopisano (del Brunelleschi), and finally examine the collection at Museo Civico Giovanni Fattori. On the next day, contemplate the long history of Villa Torrigiani, then don't miss a visit to Badia Di San Pietro a Camaiore, and then kick back and relax at Bagno Stella Focette. For where to stay, more things to do, traveler tips, and more tourist information, go to the Pisa route planner. Traveling by car from Grenoble to Pisa takes 6.5 hours. Alternatively, you can fly. In July, Pisa is somewhat warmer than Grenoble - with highs of 35°C and lows of 21°C. Wrap up your sightseeing on the 23rd (Tue) to allow time to travel to Portoferraio. Portoferraio is a town and comune in the province of Livorno, on the edge of the eponymous harbour of the island of Elba. On the 23rd (Tue), kick back and relax at Spiaggia La Sorgente, see the interesting displays at Miniere di Capoliveri, and then pause for some serene contemplation at Chiesa di Santo Stefano alle Trane. On the next day, enjoy the sand and surf at Spiaggia Di Sottobomba, discover the deep blue sea with a scuba or snorkeling tour, and then look for gifts at Gelateria Zero Gradi. To see where to stay, ratings, and other tourist information, read our Portoferraio route planning app . Traveling by combination of car and ferry from Pisa to Portoferraio takes 2.5 hours. Alternatively, you can do a combination of train and ferry; or do a combination of bus and ferry. Expect a daytime high around 33°C in July, and nighttime lows around 24°C. Finish up your sightseeing early on the 25th (Thu) so you can travel to Pitigliano. Pitigliano is a town in the province of Grosseto, located about 80km south-east of the city of Grosseto, in Italy. On the 25th (Thu), admire the natural beauty at Il giardino di Daniel Spoerri, then take in the pleasant sights at Cinta Muraria di Magliano, and then explore the fascinating underground world of Vie Cave. Get ready for a full day of sightseeing on the 26th (Fri): make a trip to Fortezza Orsini, stroll through Parco Archeologico Citta del Tufo, then make a trip to Chiesa di Santa Maria Maggiore, then pause for some serene contemplation at Chiesa di San Giorgio, and finally do a tasting at Azienda Vitivinicola Villa Corano. To see traveler tips, other places to visit, maps, and other tourist information, you can read our Pitigliano itinerary planner . Traveling by combination of ferry and car from Portoferraio to Pitigliano takes 3.5 hours. Alternatively, you can do a combination of ferry, train, and taxi; or do a combination of ferry, train, and bus. In July in Pitigliano, expect temperatures between 36°C during the day and 21°C at night. Cap off your sightseeing on the 27th (Sat) early enough to travel to Isola Del Giglio. Start off your visit on the 27th (Sat): tour the pleasant surroundings at Bagno Amaranto and then enjoy the sand and surf at Bagno Giglio Blu. On your second day here, take in the pleasant sights at Punta del Capel Rosso, enjoy the sand and surf at Cala dello Smeraldo, and then take a tour by water with Boat Tours & Water Sports. For traveler tips, other places to visit, photos, and other tourist information, use the Isola Del Giglio holiday planner . You can do a combination of taxi and ferry from Pitigliano to Isola Del Giglio in 2.5 hours. Another option is to do a combination of bus and ferry. July in Isola Del Giglio sees daily highs of 37°C and lows of 22°C at night. Cap off your sightseeing on the 29th (Mon) early enough to travel to San Gimignano. A historical gem in the heart of Tuscany, San Gimignano is known as the Town of Fine Towers for its jutting skyline of high city walls. Kick off your visit on the 29th (Mon): learn about winemaking at Fattoria Il Piano - Vineyard, do a tasting at Sant'Agnese Farm, then do a tasting at Azienda Agricola Casa Emma, and finally view the masterpieces at La Bottega del Sale di Duccio Nacci photographer. Get ready for a full day of sightseeing on the 30th (Tue): take in panoramic vistas at Torre Salvucci Maggiore, then make a trip to Miniere Di Montecatini Val Di Cecina, then take in the exciting artwork at Galleria Gagliardi, and finally take in the exciting artwork at Balducci Ceramics. To see traveler tips, where to stay, maps, and other tourist information, read San Gimignano day trip planning app . Do a combination of ferry and car from Isola Del Giglio to San Gimignano in 3.5 hours. Alternatively, you can do a combination of ferry and bus; or do a combination of ferry and train. In July, daytime highs in San Gimignano are 35°C, while nighttime lows are 21°C. Finish up your sightseeing early on the 30th (Tue) so you can travel to Montreux. Kick off your visit on the 31st (Wed): have fun at Tobogganing Park, then take in the spiritual surroundings of Abbaye de Saint-Maurice d'Agaune, and then explore the activities along Derborence Lake. On the 1st (Thu), you'll have a packed day of sightseeing: take in panoramic vistas at Mont Pelerin TV Tower and then explore the activities along Lac de Tanay. To find reviews, traveler tips, more things to do, and tourist information, you can read our Montreux trip itinerary maker . The Route module can help you plan travel from San Gimignano to Montreux. Wrap up your sightseeing on the 1st (Thu) to allow time to drive to Monte-Carlo. Kick off your visit on the 2nd (Fri): admire the natural beauty at Jardin du Casino, take in nature's colorful creations at Saint-Martin Gardens, then admire all the interesting features of Monaco Grand Prix, and finally take a leisurely stroll along Port de Fontvieille. To find maps, photos, other places to visit, and tourist information, refer to the Monte-Carlo trip planner . Traveling by car from Montreux to Monte-Carlo takes 5.5 hours. Alternatively, you can do a combination of train and flight; or do a combination of train, tram, and flight. Expect a daytime high around 32°C in August, and nighttime lows around 25°C. Wrap up your sightseeing on the 3rd (Sat) to allow time to travel to Annecy. On the 3rd (Sat), kick back and relax at Plage Municipale de Menthon Saint Bernard and then stroll through Plages de Saint Jorioz. Get ready for a full day of sightseeing on the next day: fly like a bird with a parasailing or paragliding tour, kick back and relax at Plage d'Angon, and then kick back and relax at Plage de Sevrier. 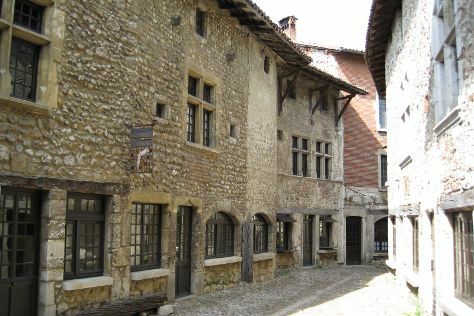 To find traveler tips, reviews, photos, and more tourist information, you can read our Annecy road trip site . You can do a combination of flight and bus from Monte-Carlo to Annecy in 4.5 hours. Other options are to do a combination of train, flight, and bus; or drive. Plan for slightly colder nights when traveling from Monte-Carlo in August since evenings lows in Annecy dip to 16°C. Finish up your sightseeing early on the 5th (Mon) so you can go by car to Lyon. Start off your visit on the 5th (Mon): take in the spiritual surroundings of Cathedral Saint Jean Baptiste, then make a trip to Le Mur Des Canuts, and then wander the streets of Cite medievale de Perouges. Keep things going the next day: make a trip to Fresque des Lyonnais, wander the streets of Place des Jacobins, then wander the streets of The Presqu'ile, and finally indulge your taste buds at Food & Drink. To find traveler tips, where to stay, reviews, and more tourist information, you can read our Lyon travel itinerary planner . Traveling by car from Annecy to Lyon takes 1.5 hours. Alternatively, you can take a train; or take a bus. In August, daily temperatures in Lyon can reach 32°C, while at night they dip to 19°C. Cap off your sightseeing on the 7th (Wed) early enough to catch the train to Paris. 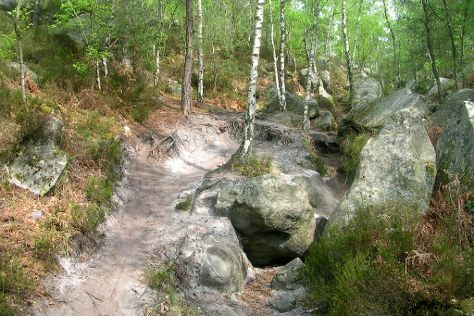 On the 7th (Wed), make a trip to France Miniature and then take a peaceful walk through Fontainebleau Forest (Foret de Fontainebleau). Get ready for a full day of sightseeing on the 8th (Thu): admire all the interesting features of Stade de France, then stop by World of Disney, and then take an in-depth tour of Musee de la Grande Guerre. For where to stay, other places to visit, photos, and tourist information, read our Paris day trip planner . You can take a train from Lyon to Paris in 2 hours. Alternatively, you can do a combination of tram and flight; or drive. Expect slightly colder weather when traveling from Lyon in August: highs in Paris hover around 29°C, while lows dip to 16°C. Finish your sightseeing early on the 9th (Fri) so you can take a train back home.